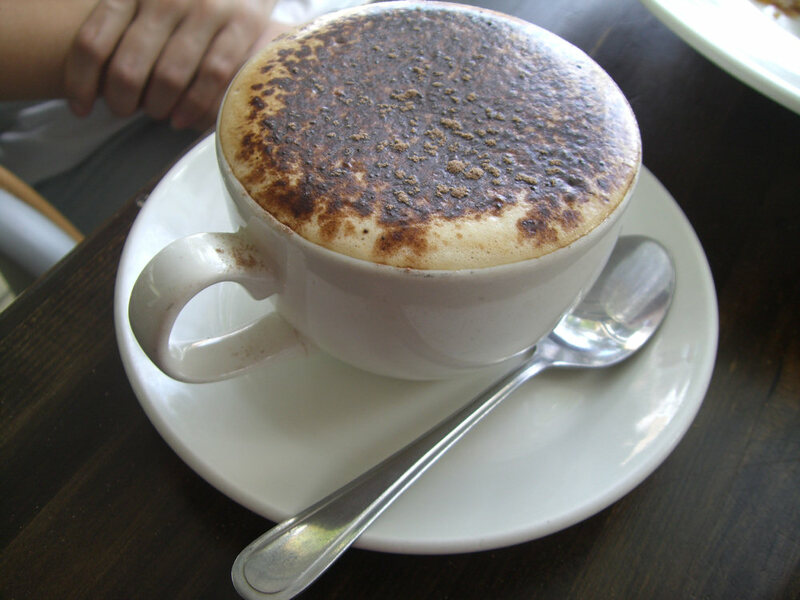 The skim cappucino ($?) did not go down well. It was made too strong and the unknown blend did not do itself any favours. 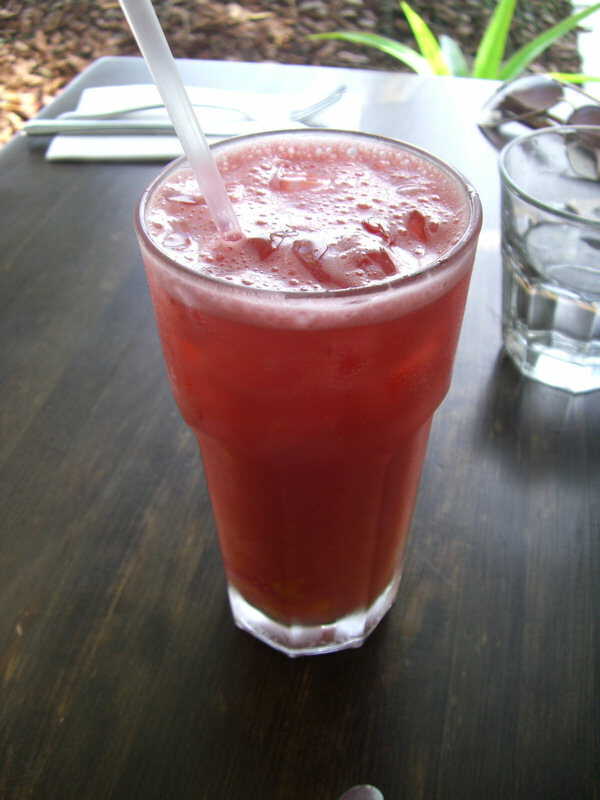 We were however pleaseantly surprised by the fresh fruit juice. There are three varities of fresh juice shakes available. We chose the vitality shake ($7) which was made up of mango, raspberry, watermelon and apple. How refreshing to find a wel blended watermelon juice. Usually too thin and watery, this mix was ice cold and blended very well. It was a vibrant red with bright yellow mango pieces near the bottom. As mentioned earlier, the breakfast menu on the Bistro C website no longer exists. The pancakes we had been looking forward to had been replaced by Canadian pancakes ($14). The pancakes themselves tasted good but were not soft or light as we had been hoping. 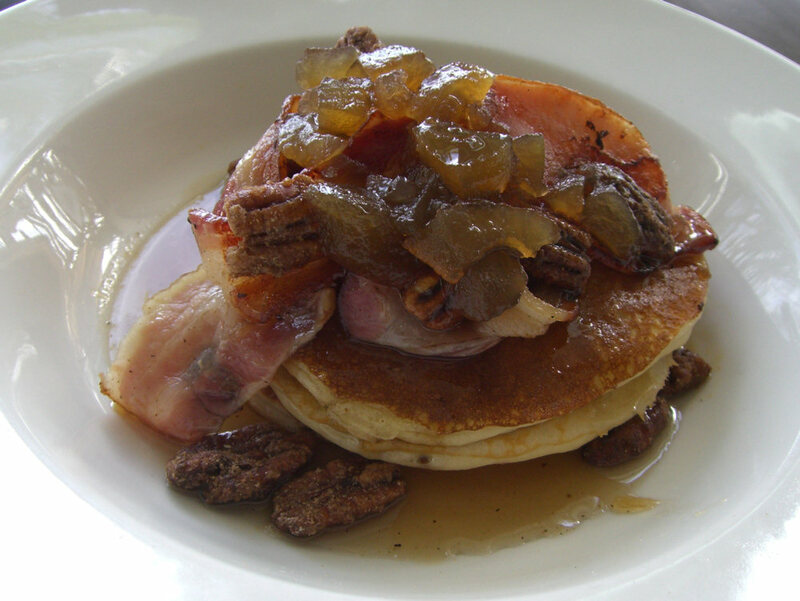 They were topped with bacon, stewed apple, maple syrup and spiced pecans. The bacon itself was too fatty – half of it we left on the plate. The stewed apple tasted good however because they could almost be described as candied appled, the sweetness became too overpowering. Combined with the maple syrup and pecans which had a sugary coating on them, the dish is definitely one for the sweet tooth. Everything on it had some kind of sugary coating. 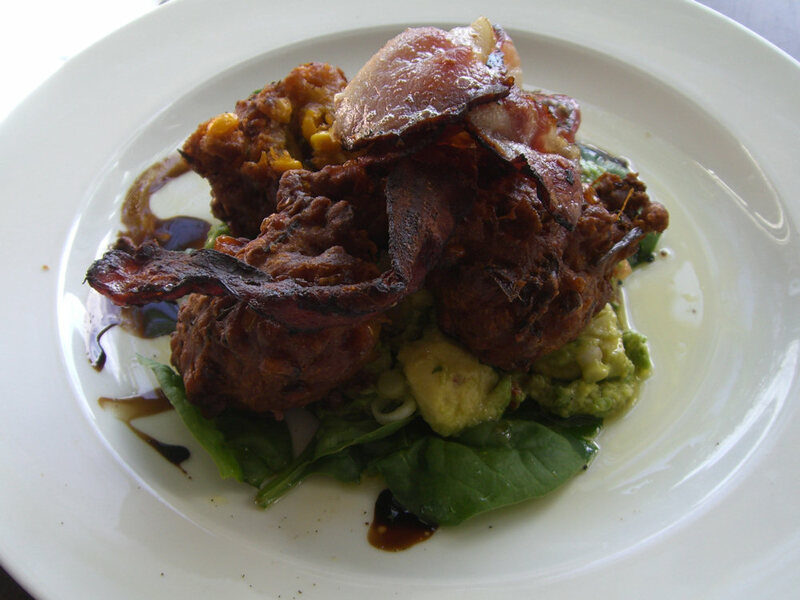 The corn and chive fritters ($18) promised to be the savoury break we needed. For close to $20 we were hoping they were going to be the best corn fritters we had ever tasted! The fritters themselves were deep fried (a little too much) and spiced mainly with curry powder. The bacon again was too fatty and the crispy pieces were actually charred. One of the saving graces of the dish was the reduced balsamic syrup and avocado salsa. Perhaps the head chef had the day off or was new. Whatever the reason, the prices we paid (expensive even for Noosa) were unbelievable expensive for the food we received. Bistro C gets points for its location and interior but we suggest you enjoy nothing more than a mixed fruit juice, and the view. 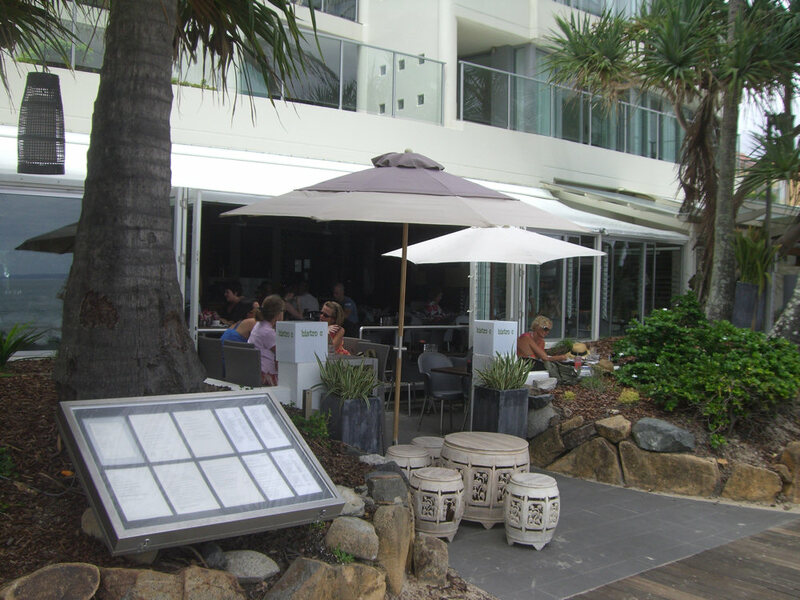 This entry was posted in Queensland and tagged Outdoor seating, Water views. Bookmark the permalink.